<firstimage=”//static.makeuseof.com/wp-content/uploads/2011/01/AO.jpg” /> With the new Facebook profiles Facebook Launches New Profile Pages [News] Facebook Launches New Profile Pages [News] Read More , a few creative members have taken full advantage of the layout. Said to have started with Alexandre Oudin, a French artist, many have followed suit. Any Photoshop fiends will find it easy to put this look together, transforming their Facebook profile into an interesting collage of images. That said, there are several apps popping up that have taken the hard work out of it. The only difficulty you’ll find yourself faced with is trying to choose the profile picture you’re going to use. 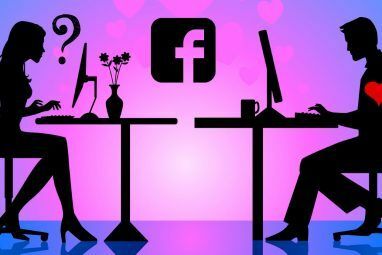 From branded Facebook apps that take care of the entire method step by step, to separate webapps that create the images for you to later upload to Facebook, there are a variety of ways that you can recreate the effect on your own profile. 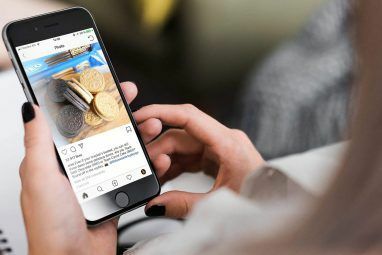 Schweppes were quick to stick their brand name on a Facebook app that allows you to upload, tag and share your profile photo directly within the social network. Upload the photo of your choice to the Schweppes app and resize, rotate and move the image until the final layout is to your liking. From the app, you can then automatically upload the images to Facebook. This will create a new album, from which you can then set the first image as your profile picture, and tag yourself in the rest of the photos. PicScatter takes a similar approach to the Schweppes app, allowing you to upload, scale and move the image, but you can’t rotate it. Once you’ve uploaded and scaled the image, you can then automatically publish it to Facebook, and like the Schweppes app, an album will automatically be created including all of the images. PicScatter does have a few nice features that the Schweppes app doesn’t. First, if you’d rather not publish directly to Facebook, you can download the photos in a zip folder from PicScatter and upload them to Facebook yourself. If you do publish to Facebook, it will automatically tag the photos for you. It also makes it easy to remove previous “scatters” if you decide to create a new layout, as well as creating an album with 9 photos, as opposed to Schweppes’ 6 photos; allowing your friends and followers to see more of the original image when you first upload it. PicScatter doesn’t make it very clear, but it seems that you have to like their Facebook Page in order for the application to prompt you to grant it permission to access your profile. With both the Schweppes app and PicScatter, if your tagged photos aren’t visible to your friends, rather than tag the photos, simply add each of the photos to your profile photos album, but be sure to get them in the right order. If you opt for using the tag method, you will of course have to manually remove the images from the bar each time your friend tag you in a photo, by clicking the little ‘x’ in the corner of the image. If you’re looking for something a little less elaborate or low key, or if you don’t want to put your own image up as your profile picture, an interesting option is to jazz up Facebook’s default photo. With almost 70 alternatives to the default image from Darth Vader to Pippy Longstockings – there’s something in there for just about everyone. There are a few other interesting options when it comes to spicing up your Facebook profile, including turning the image into a video with VanityVid, or using cool special effects on your photos courtesy of these 6 sites 6 Quick Ways to JAZZ-UP your Photos 6 Quick Ways to JAZZ-UP your Photos Read More or even creating a cartoon avatar Create Avatars Online Without Any Image Editing Create Avatars Online Without Any Image Editing Read More . Have you taken advantage of Facebook’s latest profile layout? Let us know in the comments, and share a screenshot while you’re at it. It sounds like this has something to do with the settings for showing your images. Are they seeing random images that you were tagged in or are they seeing your previous profile pictures? If they are your profile pictures: With both the Schweppes app and PicScatter, if your tagged photos arenâ€™t visible to your friends, rather than tag the photos, simply add each of the photos to your profile photos album, but be sure to get them in the right order. You can manually remove the images from the bar each time your friends tag you in a photo by clicking the little â€˜xâ€™ in the corner of the image. problem start when a new picture of me is tagged..it will be shown as one of the small pic and ruined the whole image..any way around this problem? You can manually remove the images from the bar each time your friends tag you in a photo by clicking the little ‘x’ in the corner of the image. I just used Schweppes and it worked great. Or so I thought. It looks just the way I set it when I view my profile page. But when my wife viewed my profile page from her account, only the profile picture was the same; the other five images were random. Had some FB friends check and it's the same for them, too. If they are your profile pictures: With both the Schweppes app and PicScatter, if your tagged photos aren’t visible to your friends, rather than tag the photos, simply add each of the photos to your profile photos album, but be sure to get them in the right order. 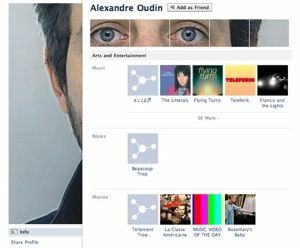 it's funny since you used Alex Oudin's photo and you didn't mention his Facebook Profile Generator as well? hmm...don't forget if you use PicScatter or Schwepps you give them access to your info, wall, photos, etc...PicScatter is run by McCann Erickson..an ad agency. You're absolutely right - which is why it's great that PicScatter have the added option of downloading the photos to your computer and uploading them yourself to your account without having to grant them access to your account info. What is it that didn't work? Heh, nice info there and those collages look absolutely perfect for me. I'm looking forward to trying it out. Cool post Nancy! This is where I feel that my photography skills were up to scratch. I had this link which shows what creative things you can do with the default 'silhouette' thumb photo of Facebook.